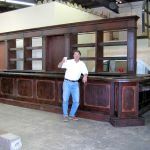 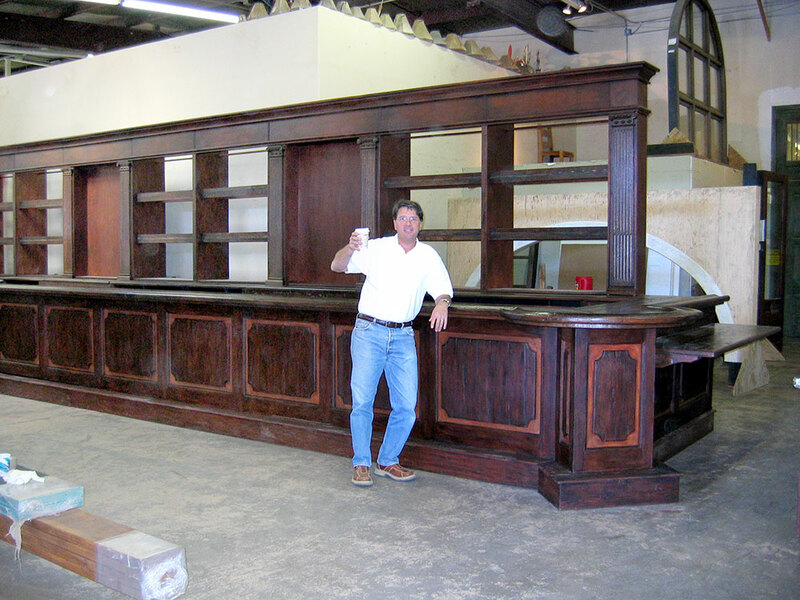 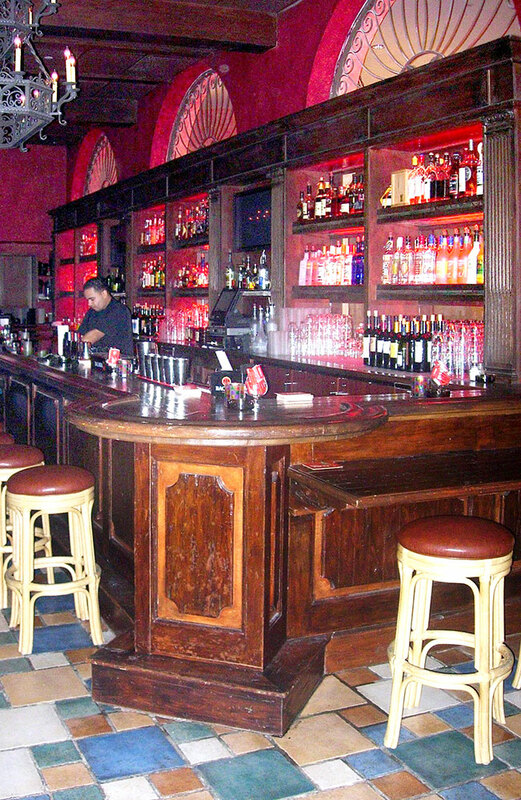 One of several custom commercial bars made for the Cuba Libre Restaurant & Rum Bar, this is the main bar. 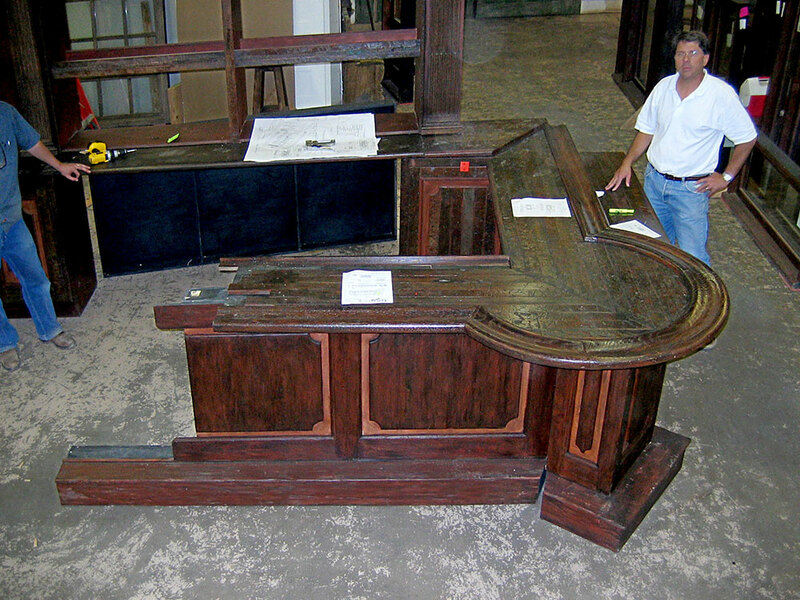 It was crafted using carved columns salvaged from an estate library, reclaimed timber and Douglas fir. 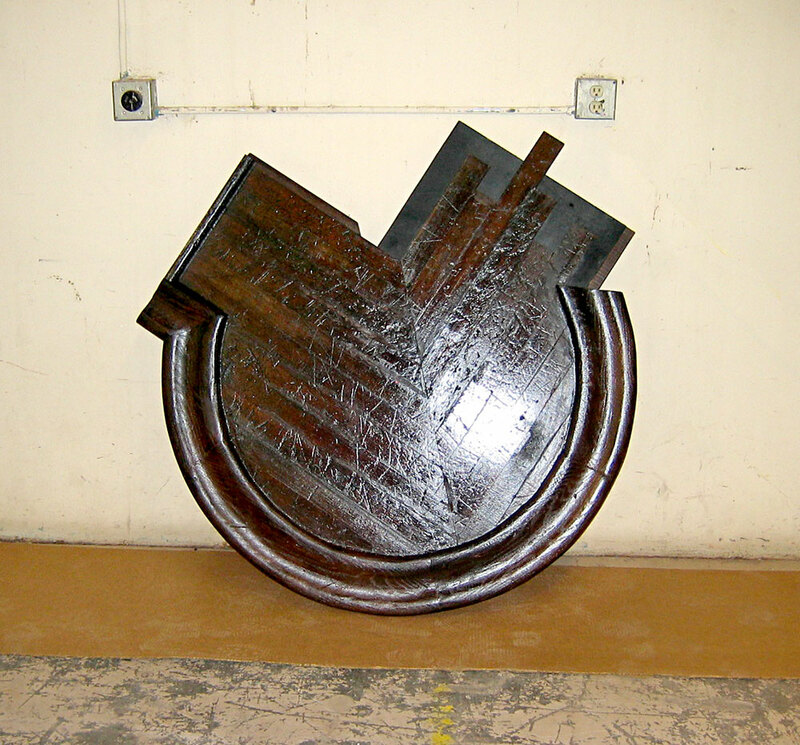 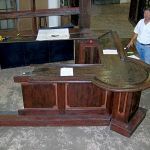 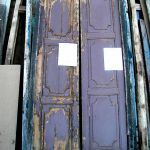 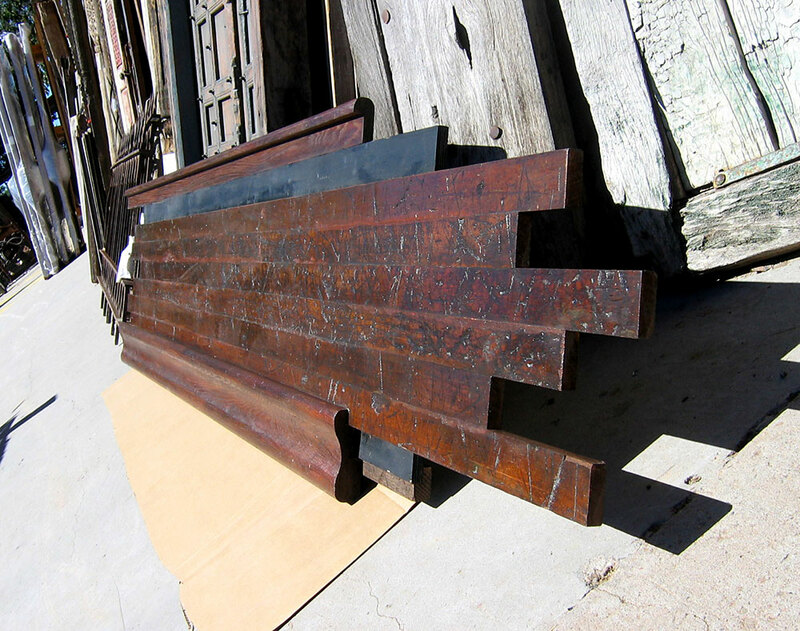 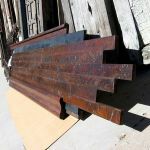 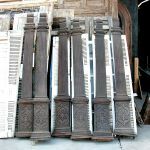 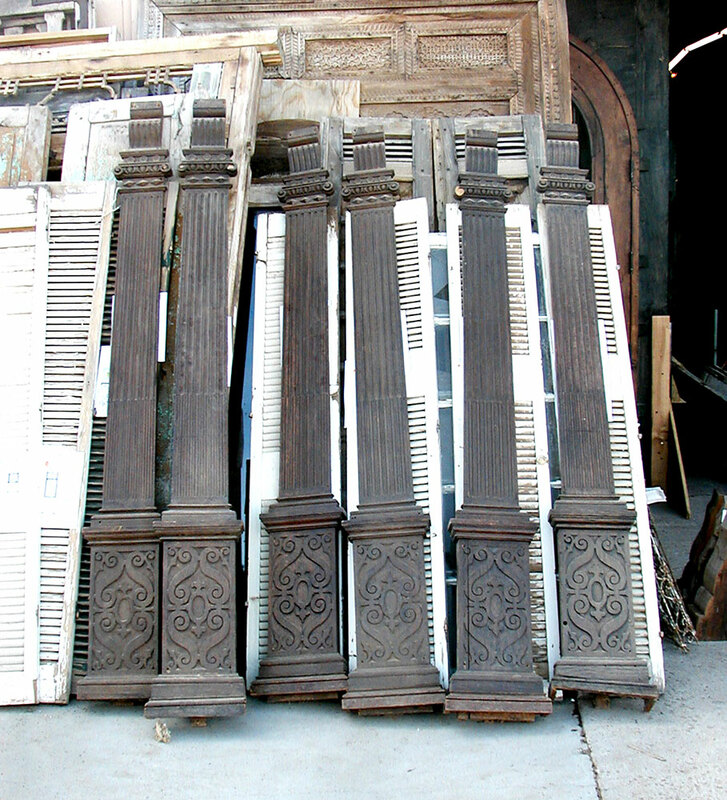 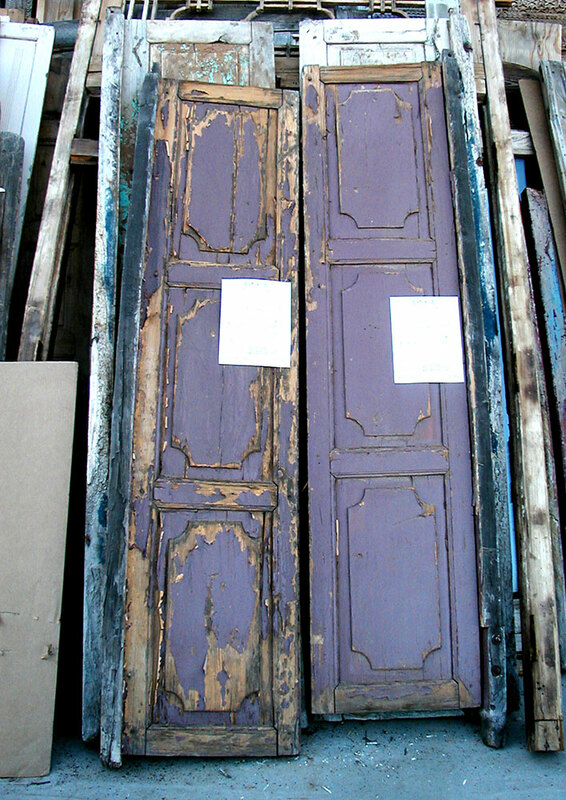 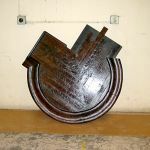 Additional photos show the antique material used to make the bar, the distressed patina of the bar tops, and the bar in progress at our old location.